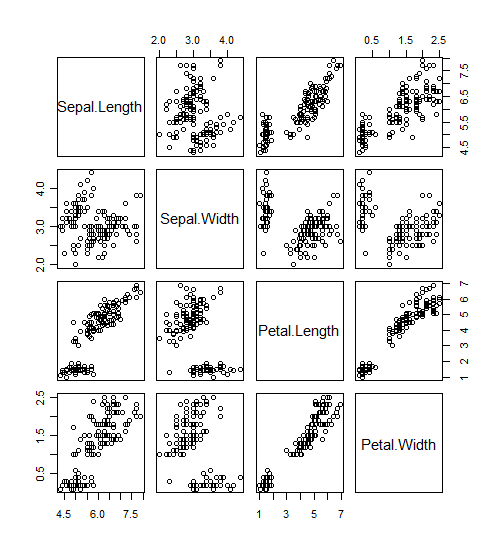 There's also a function in the psych package (built on top of the two lattice functions you describe above) which has scatterplots in the upper triangle, loess fits on the lower and histograms on the diagonal. I appreciate the link to the psych package function. pairs.panels() adds some nice functionality! 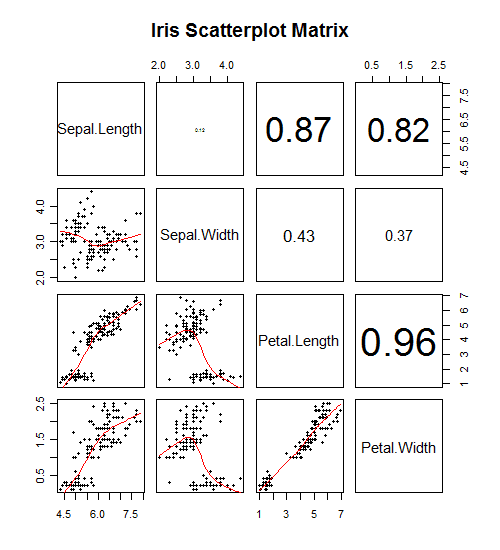 Also, check out Zach Meyer's post on graphically analyzing variable interactions, which shows even more advanced scatterplot matrix plots. In this way, we plot the real (positive or negative) value of the correlation coefficient and not only positive values. 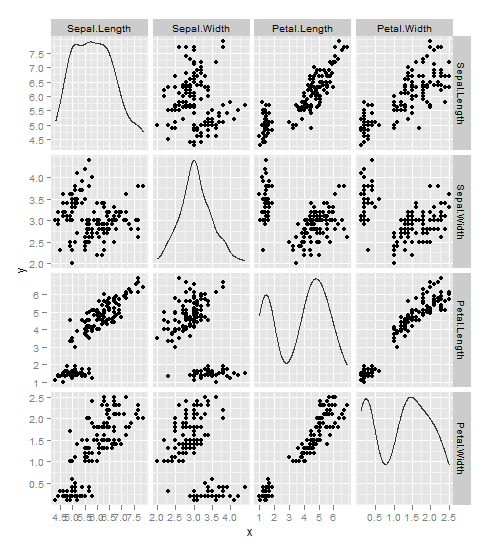 So, we also can draw higher sizes in strong negative correlation coefficients.